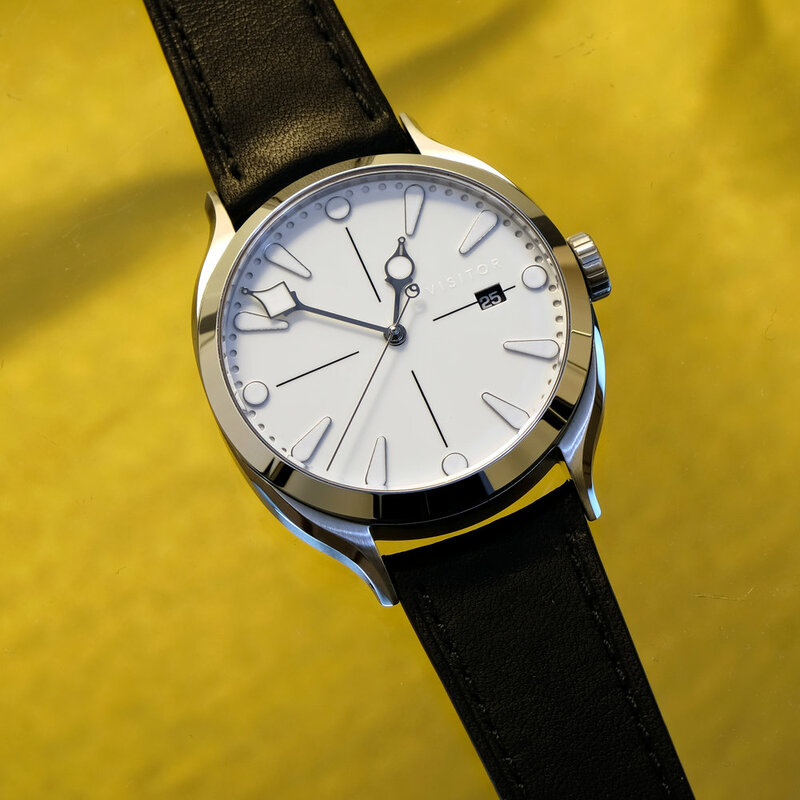 Linden — Visitor Watch Co.
Add your name to the Linden wait list to receive first-come-first-served order access when a watch becomes available! 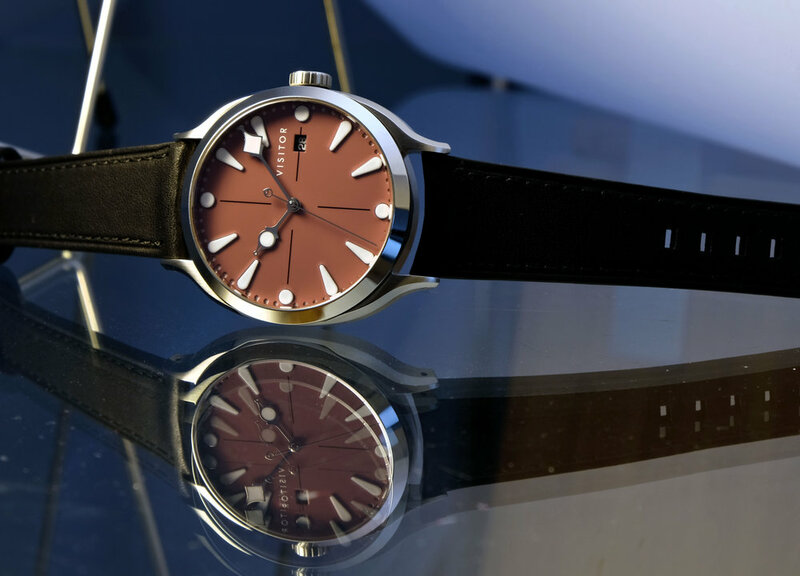 The Linden is the second installment in the Calligraph collection, housing the same dial and handset as the Duneshore in a new, 39 mm case that is 10.5 mm thick and 48.5 mm from lug to lug. The case is a 3-piece construction with multiple chamfers, brushed and polished finishing, pierced lugs, and front and rear sapphire crystals. 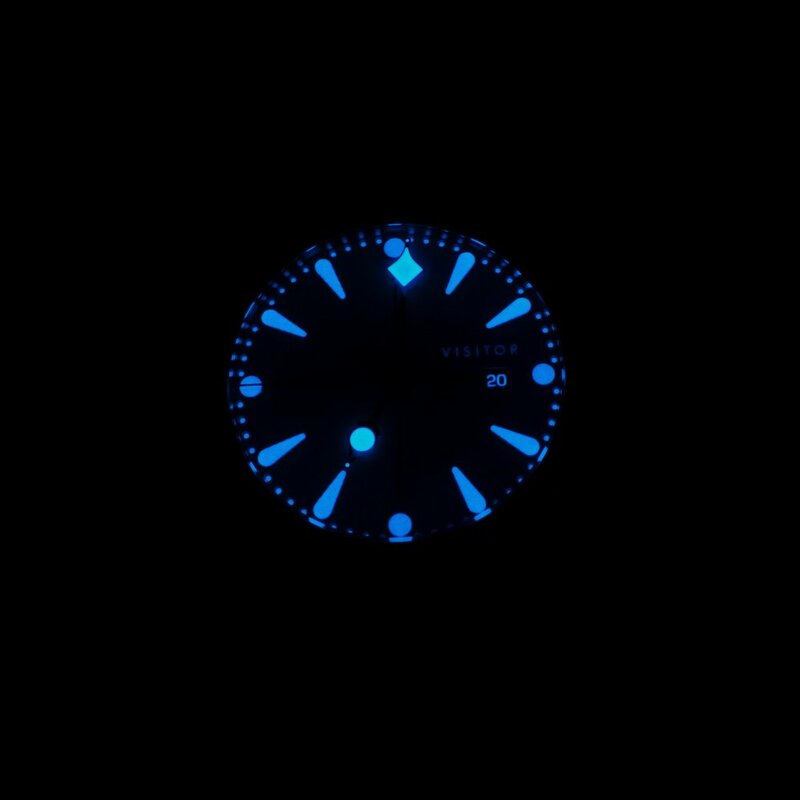 Inside is a Miyota 9015 with custom rotor and black date disk with lume-printed numerals. The Calligraph "family" dial will be produced in 4 new colors for the Linden: white, black, mauve, and blue. No matter the color, every dial is printed with a black cross-hair and BGW9 luminant dial signature, simultaneously tying each piece together and slightly tweaking the aesthetic of each offering. The white dial, for instance, appears sterile, while the black dial appears not to have a cross-hair under most light. The Linden will initially be offered on 7 different leather straps. Final price is TBD but expect it to land in the $550 - $600 range.